Acrylic paint consists of pigment, water with the addition of acrylic acid. Used for painting and interior work on wood surfaces. Any acrylic paint added to the film-forming material which hardens in 30-60 minutes. Method washes of acrylic paint from surfaces depends on the time elapsed since its application. If you want to wash off the fresh acrylic paint, after application, which has not passed 60 minutes, then you can easily able to do this, using warm water. To clean paint from brushes, soak them in warm water for 20 minutes and rinse under running water with soap or detergent for dishes. If after applying acrylic more than 60 minutes but not more than 24 hours, then use a brush, warm water and any detergent designed for degreasing surfaces. To wash off acrylic paint, which is applied for a long time and the film former is hardened, use gasoline, acetone, kerosene, white spirit, nail varnish. To use, apply one of the funds using a sponge on the surface to be cleaned, leave for 30 minutes to soften the hardener, wipe the surface with a soft cloth dampened in one of the funds. In addition to these products, you can use a tool under the trade name "Wash and paint". This means you can buy in any hardware store. It can be designed specifically for removing acrylic paint or have a universal use, suitable for all kinds of paints on any basis. 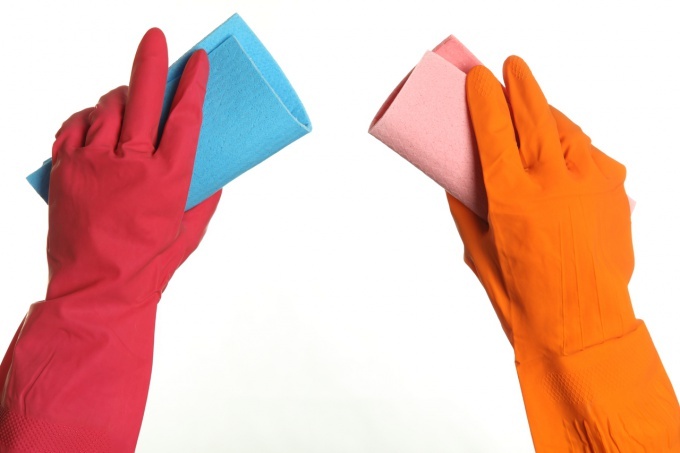 To use washes as a safety precaution, open all Windows and doors, put on gloves, mask, goggles, apply the product on the cloth, finish off the surface, leave for 10 minutes, wipe the surface with a clean cloth. Be careful, the substance has a pungent smell and irritates the skin. In any store where they sell electronic components, sold the drug under the trade name "Universal cleaner". It consists of alcohol and highly gasoline. Can be used to remove all types of paint, its main purpose is degreasing and cleaning electronic components. Apply onto the surface to be cleaned, wipe with a clean cloth. Aquametry — water-based paint for metal, anti-rust acrylic paint for protecting ferrous metal. The paint provides corrosion protection of metal constructions, pipes, pipelines, garages, fences, railings, garden furniture, machine parts and mechanisms, as well as reinforced concrete products and structures. The method of application. Environmentally safe aqueous acrylic - polyurethane paint. One-component, ready to use. Recommended for industrial coating of wood products, MDF, hardboard, including surfaces subject to increased wear: doors, window sills, countertops, etc. Parameters of water resistance allow the use of enamel for the decoration of kitchen furniture.